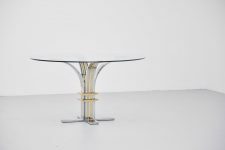 Very nice sculptural dining table made by Banci & Firenze, Italy 1970. 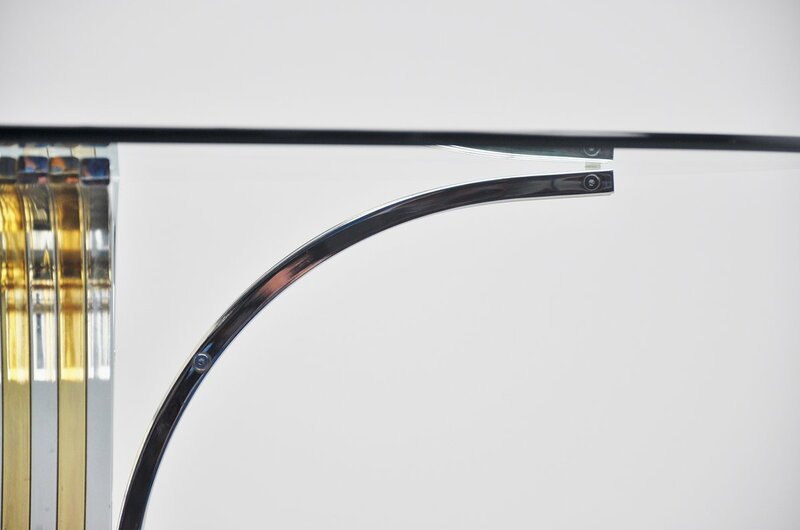 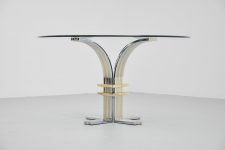 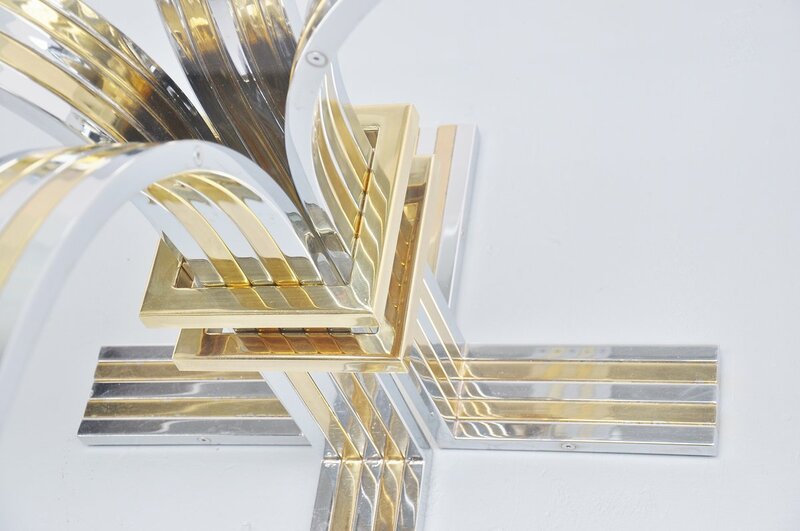 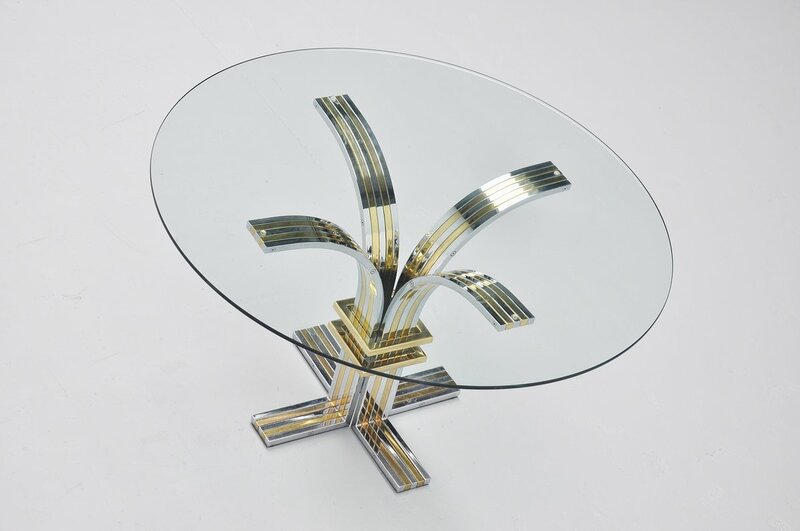 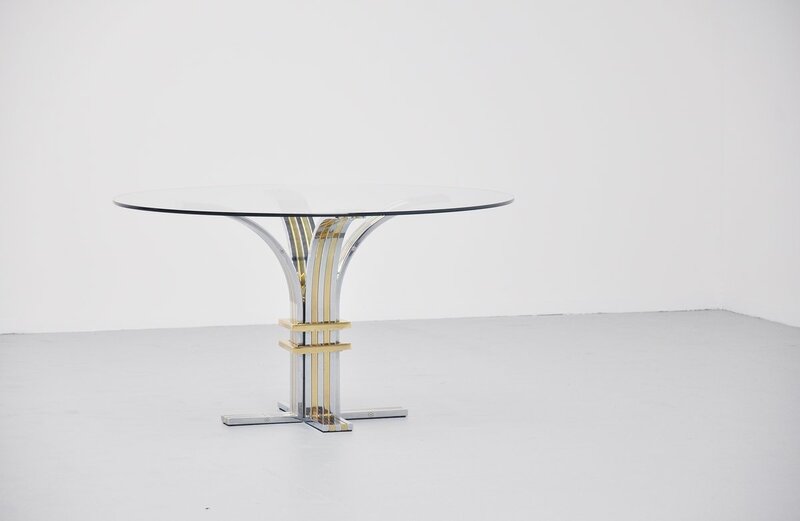 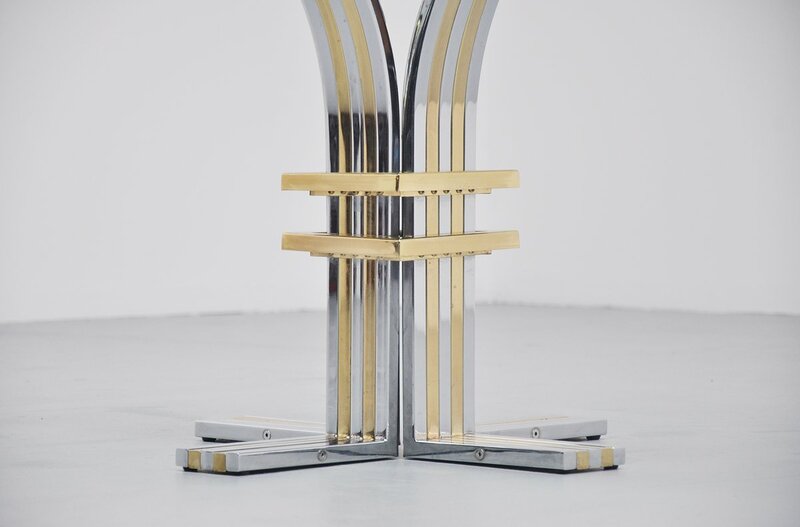 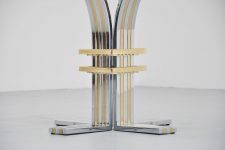 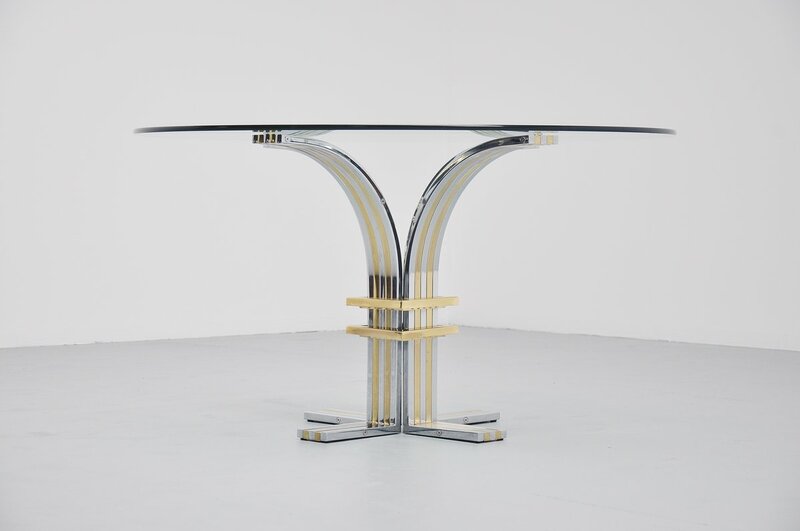 This tables base was made of square tubular bent pipes in chrome and brass, fixed together with a large glass top on it. 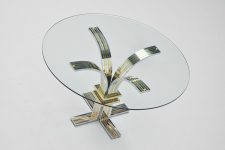 High quality table and very well made piece of Italian design. 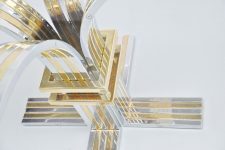 In the manner of Willy Rizzo and Romeo Rega.